MP3@64 module, exclusively made for IDE64 V4 in 2016. There is a unique opportunity to order MP3@64 module again. The original device was designed by Oliver Achten in 2005 and resurrected from limbo by continuous work of our friend Comos. Thanks to a IDE64 plugin and advanced music player created by Soci, it can play any MP3, including variable bit rate encoded and constant bit encoded 320kbps. Let's create a music box driven by C64+IDE64+MP3@64. 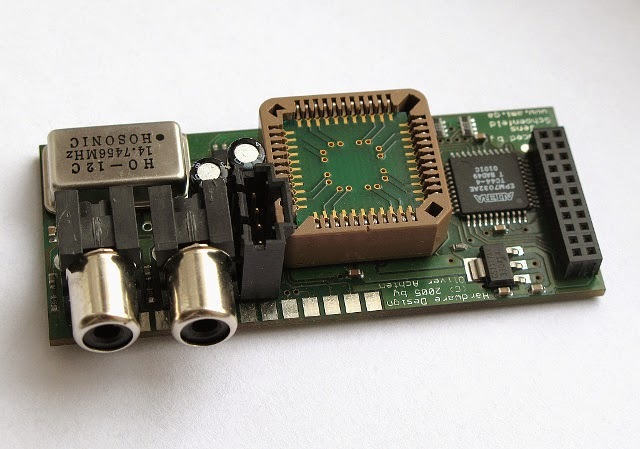 The price is influenced by the higher cost of the MP3 chip and it is 49 Euro for a module.